Gentilesca T, Camarero JJ, Colangelo M, Nolè A, Ripullone F (2017). Drought-induced oak decline in the western Mediterranean region: an overview on current evidences, mechanisms and management options to improve forest resilience. iForest 10: 796-806. Increased forest vulnerability is being reflected as more widespread and severe drought-induced decline episodes. In particular, the Mediterranean area is revealing a high susceptibility to phenomena of loss in tree vitality across species. Within tree species, oaks (Quercus spp.) are experiencing extensive decline in many countries. However, in the wake of the so-called “oak decline phenomenon”, the attention on these species has generally been limited. In this paper, we review the current available literature on oak-decline cases reported within the Mediterranean Basin, with particular remark for those occurred in Italy and Spain. More specifically our main aims were to: (i) provide an update on the patterns and mechanisms of decline by focusing on tree-ring and wood-anatomical variables; (ii) provide some hints for improving the resistance and resilience of oak stands experiencing decline. Our review reveals that drought is reported as the main driver triggering oak decline within the Mediterranean Basin, although other causes (i.e., increasing temperature, pathogens attack or excessive stand density) could exacerbate decline. In most reported cases, drought induced a substantial reduction of growth and changes in some wood anatomical properties. Indeed, growth decline prior death is also indicated as an early-warning signal of impending death. In ring-porous oak species, declining trees were often characterized by a very low production of latewood and a decrease in lumen area of the widest earlywood vessels, suggesting a potential reduction of hydraulic conductivity. Moreover, hydraulic dysfunction is reported as the main cause of decline. Finally, regarding management actions that should be considered for improving the resilience of declining stands and preserve the species-specific stand composition, it could be useful to shorten the rotation period of coppice stands or promoting their gradual conversion towards high forests, and favoring more drought-resistant species should also be considered. In addition, regeneration prior to regeneration cuts should be improved by anticipating seed dispersal or by planting oak seedlings obtained from local germoplasm. Nonstructural leaf carbohydrate dynamics of Pinus edulis during drought-induced tree mortality reveal role for carbon metabolism in mortality mechanism. New Phytologist 197: 1142-1151. Cambial activity of the sessile oak (Quercus petraea) in Belgrade forest, Istanbul. Turkish Journal of Agriculture and Forestry 30: 429-438. A global overview of drought and heat-induced tree mortality reveals emerging climate change risks for forests. Forest Ecology and Management 259: 660-684. Consequences of widespread tree mortality triggered by drought and temperature stress. Nature Climate Change 3: 30-36. Quercus suber dieback alters soil respiration and nutrient availability in Mediterranean forests. Journal of Ecology 104: 1441-1452. CANVIBOSC: Vulnerability of forest species to climate change. The Catalan Office for Climate Change Generalitat de Catalunya, Barcelona, Spain, pp. 77. Biogeography, ecology and history of Mediterranean Quercus ilex ecosystems. Vegetatio 99-100: 19-34. Characteristics of some Phytophthora species isolated from oak forest soils in central and northern Italy. Phytopathologia Mediterranea 40: 149-156. Multi-year drought-induced morbidity preceding tree death in Southeastern US forests. Ecological Applications 26: 17-23. Cork oak physiological responses to manipulated water availability in a Mediterranean woodland. Agricultural and Forest Metereology 184: 230-242. Oak tree mortality in Iberia. Nature 360: 539. Phytophthora cinnamomi and oak decline in southern Europe Environmental constraints including climate change. Annals of Forest Science 53: 347-358. Managing forest ecosystems: the challenge of climate change. Springer, Berlin, New York, pp. 338. Timing of drought triggers distinct growth responses in holm oak: implications to predict warming-induced forest defoliation and growth decline. Forests 6: 1576-1597. To die or not to die: early-warning signals of dieback in response to a severe drought. Journal of Ecology 103: 44-57. Prior height, growth, and wood anatomy differently predispose to drought induced dieback in two Mediterranean oak species. Annals of Forest Science 73: 341-351. Widespread crown condition decline, food web disruption, and amplified tree mortality with increased climate change-type drought. Proceedings of the National Academy of Sciences USA 108: 1474-1478. A 20-year overview of Quercus robur L. mortality and crown conditions in Slovenia. Forests 6: 581-593. Global convergence in the vulnerability of forests to drought. Nature 491: 752-755. A multi-proxy assessment of dieback causes in a Mediterranean oak. Tree Physiology 37 (5): 617-631. Radial-growth and wood-anatomical changes in overaged Quercus pyrenaica coppice stands: functional responses in a new Mediterranean landscape. Trees, Structure and Function 20: 91-98. Effects of a severe drought on Quercus ilex radial growth and xylem anatomy. Trees, Structure and Function 18: 83-92. Effects of a severe drought on growth and wood anatomical properties of Quercus faginea. International Association of Wood Anatomists Journal 25: 185-204. Analysis of spatial patterns of oak decline in cork oak woodlands in Mediterranean conditions. Annals of Forest Science 67: 204. PAHs in decaying Quercus ilex leaf litter: mutual effects on litter decomposition and PAH dynamics. Chemosphere 114: 35-39. Decline of Mediterranean oak trees and its association with Phytophthora cinnamomi: a review. European Journal of Forest Research 132: 411-432. The effect of soil nutrition, soil acidity and drought on northern red oak (Quercus rubra L.) growth and nutrition on Pennsylvania sites with high and low red oak mortality. Forest Ecology and Management 136: 199-207. Climate change and oak growth decline: Dendroecology and stand productivity of a Turkey oak (Quercus cerris L.) old stored coppice in Central Italy. Annals of Forest Science 67: 706-710. On the use of stable carbon isotopes to detect the physiological impact of forest management. The case of Mediterranean coppice woodland. Forest Ecology and Management 398: 158-166. Impacts of drought on tree mortality and growth in a mixed hardwood forest. Journal of Vegetation Science 5: 229-236. Response diversity, ecosystem change and resilience. Frontiers in Ecology and Environment 1: 488-494. Treatment of oak decline using pressurized injection capsules of antifungal materials. European Journal of Plant Pathology 29: 29-38. The response of an Eastern Amazonian rain forest to drought stress: results and modelling analyses from a throughfall exclusion experiment. Global Change and Biology 13: 2361-2378. Studying global change through investigation of the plastic responses of xylem anatomy in tree rings. New Phytologist 185: 42-53. Growth projections reveal local vulnerability of Mediterranean oaks with rising temperatures. Forest Ecology and Management 305: 282-293. 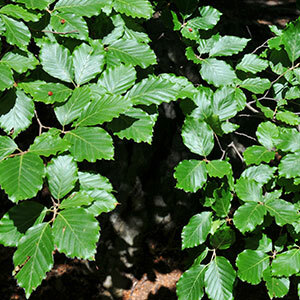 Oak forest decline in southern Italy: the study case of Gorgoglione forest. In: Proceedings of the “2nd International Congress of Silviculture”. Florence (Italy) 26-29 Nov 2014. Accademia Italiana di Scienze Forestali, Florence, vol. II: 123-129. Weak tradeoff between xylem safety and xylem-specific hydraulic efficiency across the world’s woody plant species. New Phytologist 209 (1): 123-136. Analysis of the oak decline in Spain: la seca. Swedish University of Agricultural Sciences. Bachelor Thesys, Uppsala, Sweden, pp. 74. Conserving idealized landscapes: past history, public perception and future management in the New Forest (UK). Vegetation History and Archaeobotany 17: 551-562. Tree mortality across biomes is promoted by drought intensity, lower wood density and higher specific leaf area. Ecology Letters 20: 539-553. Climate controls act at different scales on the seasonal pattern of Quercus ilex L. stem radial increments in NE Spain. Trees, Structure and Function 25: 637-646. Emergent insects, pathogens and drought shape changing patterns in oak decline in North America and Europe. Forest Ecology and Management 354: 190-205. Climate change-integrated conservation strategies. Global Ecology and Biogeography 11: 485-495. Research frontiers in drought-induced tree mortality: crossing scales and disciplines. New Phytologist 205: 965-969. Forest management and silvicultural responses to projected climate change impacts on European broadleaved trees and forests. The International Forestry Review 10: 591-607. Hydraulic failure and tree dieback are associated with high wood density in a temperate forest under extreme drought. Global Change Biology 17: 2731-2742. Climate change and nature conservation: Implications for policy and practice in Britain and Ireland. Journal of Nature Conservation 11: 67-73. Climate change 2014: impacts, adaptation, and vulnerability. Part A: global and sectoral aspects. Contribution of Working Group II to the Fifth Assessment Report of the Intergovernmental Panel on Climate Change. Cambridge University Press, Cambridge, UK, pp. 1435. Climate-tree-growth relationships of Quercus petraea Mill stand in the Forest of Berce (“Futaie des Clos”, Sarthe, France). Annals of Forest Science 61: 361-372. Associations between growth, wood anatomy, carbon isotope discrimination and mortality in a Quercus robur forest. Tree Physiology 31: 298-308. First report of canker disease caused by Botryosphaeria parva on cork oak trees in Italy. Plant Disease Journal 91: 324. Physiological responses of cork oak and holm oak to infection by fungal pathogens involved in oak decline. Forest Pathology 39: 232-238. Variation of endophytic cork oak-associated fungal communities in relation to plant health and water stress. Forest Pathology 41: 1-13. Diplodia corticola and Phytophthora cinnamomi: the main pathogens involved in holm oak decline on Caprera Island (Italy). Forest Pathology 44: 191-200. Interacting effects of climate and forest-cover on mortality and growth of the southernmost European fir forests. Global Ecology and Biogeography 18: 485-497. Growth patterns and sensitivity to climate predict silver fir decline in the Spanish Pyrenees. European Journal of Forest Research 131: 1001-1012. Climate change impacts, adaptive capacity, and vulnerability of European forest ecosystems. Forest Ecology and Management 259: 698-709. Canopy recovery after drought dieback in holm-oak Mediterranean forests of Catalonia (NE Spain). Global Change Biology 10: 2092-2099. Tree disease concepts (2nd edn). Prentice-Hall, Upper Saddle River, NJ, USA, pp. 416. Role of an opportunistic pathogen in the decline of stressed oak trees. Journal of Ecology 94: 1214-1223. Drought-induced forest decline: causes, scope and implications. Biology Letters: 689-691. Darcy’s law predicts widespread forest mortality under climate warming. Nature Climate Change 5: 669-672. Mechanisms of plant survival and mortality during drought: why do some plants survive while others succumb to drought? New Phytologist 178: 719-739. Coordination of physiological traits involved in drought-induced mortality of woody plants. New Phytologist 208: 396-409. Climate change and nature conservation in Central European forests: a review of consequences, concepts and challenges. Forest Ecology and Management 261: 829-843. Summer-drought constrains the phenology and growth of two co-existing Mediterranean oaks with contrasting leaf habit: implications for their persistence and reproduction. Trees, Structure and Function 23: 787-799. Nutritional status of Quercus suber population under contrasting tree dieback. Forestry 85: 369-377. Decline of Quercus crispula in abandoned coppice forests caused by secondary succession and Japanese oak wilt disease: stand dynamics over twenty years. Forest Ecology and Management 334: 18-27. Global and Neotropical distribution and diversity of oak (genus Quercus) and oak forests. In: “Ecology and Conservation of Neotropical Montane Oak Forests” (Kappelle M ed). Ecological Studies, vol. 185, Springer-Verlag, Berlin, Heidelberg, Germany, pp. 3-13. A synthesis of tree functional traits related to drought-induced mortality in forests across climatic zones. Journal of Applied Ecology: 18. Previously unrecorded low-temperature Phytophthora species associated with Quercus decline in a Mediterranean forest in eastern Spain. Forest Pathology 43: 331-339. Litter thickness on tree covered fuel-breaks maintained by grazing. In: “Western European Silvopastoral System” (Etienne M ed). Institut National de la Recherche Agronomique, Paris, France, pp. 111-122. Forest transpiration: a conservative hydrological process? Journal of Hydrology 66: 133-141. Too wet for oaks? Inter-tree competition and recent persistent wetness predispose oaks to rainfall-induced dieback in Atlantic rainy forest. Global and Planetary Change 94- 95: 62-71. Soil chemical properties and dieback of Quercus robur in Atlantic wet forests after a weather extreme. Plant and Soil 373: 673-685. Occurrence of Phytophthora cinnamomi in cork oak forests in Italy. Forest Pathology 43: 340-343. Trees and pastures: 40 years of agro-silvopastoral experience in Western Oregon. In: Proceedings of the Symposium “Agroforestry and Sustainable Systems”. Fort Collins (CO, USA) 7-10 Aug 1994. NAC, Lincoln, NE, USA, pp. 47-53. Oak decline in Europe. In: Proceedings of an International Symposium held in Kornik (Poland) 15-18 May 1990. Poland Institute of Dendrology, Polish Academy of Sciences, PWRiL, PoznaÅÂ, Poland, pp 360. Drought as a cause of oak decline and death on the South Carolina coast. Plant Disease 67: 195-197. Deciduous Quercus in the Mediterranean region: tree-ring/climate relationships. New Phytologist 126: 355-367. The anatomical traits of trunk wood and their relevance to oak (Quercus robur L.) vitality. European Journal of Forest Research 133: 845-855. Genetic resilience in a historically profited root sprouting oak (Quercus pyrenaica Willd.) at its southern boundary. Tree Genetics and Genomes 9: 1129-1142. Occurrence of Phytophthora species in oak stands in Italy and their association with declining oak trees. Forest Pathology 32: 19-28. Response of the prairie-forest border to climate change: impacts of increasing drought may be mitigated by increasing CO2. Journal of Ecology 98: 197-208.